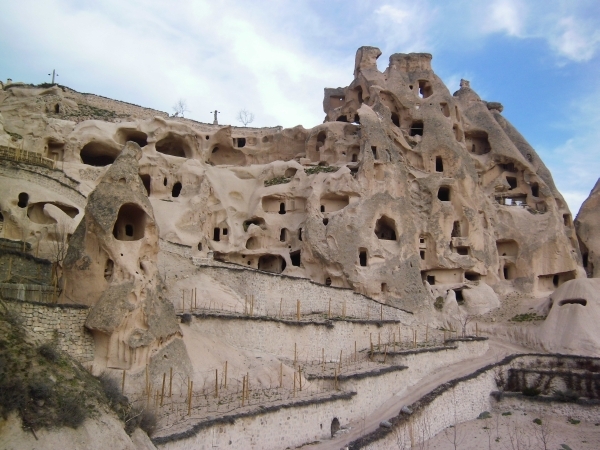 It is on the Nevsehir – Goreme roadway. There is not known the period of the commencement of the oldest settlement at Uchisar which is situated in the highest point of the region. The hill of the castle of Uchisar is the panoramic watching point. The many rooms, steps, tunnel and galleries inside the castle are connected to each other. At the entrance of the rooms there are sliding stones used to control the accesses and exits. On the chimney rock and outskirts of the castle and around there has been constructed many dovecotes. The doves were used in communication with the other settlement regions. Says as legend dwarf had been lived at the Uchisar because of the very narrow passages in the castle. There are three tombs top of the castle. Uchisar forms hills and valleys that stood on a volcanic tuff plateau. Mount Oylu (1642 Mt), Mount Akdere (1543 Mt), Mount Kermil (Gemil – 1486 Mt) and Mount Kepez which were in the borderline of Nevsehir can be seen in Uchisar. In hollowed places on the top of these mountains, proof that life continued in ancient ages can be observed. 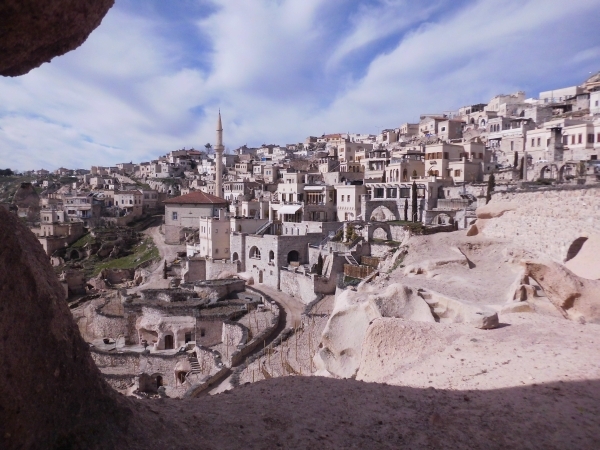 Nevsehir city stands on a very large plateau that was formed with ashes and lavas from old volcanoes such as Mount Erciyes, Mount Melendiz and Mount Hasan in the middle Anatolia. This geographical shape was flourished with valleys and fairy chimneys. There are foue valleys in the region as Kermil (Germil), Güvercinlik, Karankemer and Baglidere valleys. In Cappadocia and Uchisar which are in the Middle Anatolian climate line, continetal climate is dominant. Winter in the region is chilly and summer is hot and dry. Autumn and spring goes rainy in Uchisar. The worth wind is dominant. Northwesterand northeaster winds have high value of blowing. Winds from the south have the high value of blowing impact. 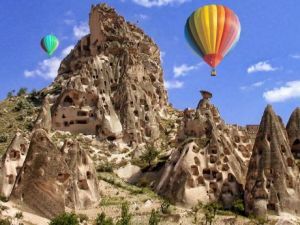 It is possible to put apart the geological formation of Uchisar and Cappadocia. In Neogene period which was 25 million years ago, volcanic chimneys such as Mount Erciyes (3917 Mt), Mount hasan (3268), and Mount melendiz (2963 Mt) occured in the middle of Anatolia by cracks on earth crust with pressure from magma. What Mount Erciyes and others did was the formation of Cappadocia with interesting sight. Today all of the landforms in the region were created by these volcanoes. The architects of the geographical formations are also them. Solid and fluent substances from volcanoes covered the entire region as a horizontal layer with coverage of different colour and bardness in suitable places of that topografhy and especially in shallow lakes. Shortly after, the layer was rubbed off by wind and rain. Staying in Uchisar and as the zenith of Cappadocia, Uchisar Castle is one of the good examples for this formation. According to its location and height, it is the start point for slopes and fairy chimneys, mainstay and zenith. 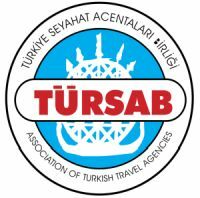 How can you go:Uchisar is exactly center of Cappadocia region. You can go to Uchisar from Nevsehir province by roadway 7 km. Nevsehir is 670 km. far from Istanbul, 280 km. from Ankara, 750 km. from Izmir.